About the Salish and Kootenai: Originally from British Columbia, Salish-speaking people lived in western Montana in the 17th century. In the 1700s, the Salish acquired horses and adopted the Plains culture of hunting and raiding. Their nomadic lifestyle led to constant wars with the Blackfeet, and this, combined with smallpox epidemics in the 1800s, nearly wiped out Salish speakers. The Salish began trading with non-Indians shortly after the Lewis and Clark expedition moved through their historic lands. The Kootenai also lived in western Montana near the borders with British Columbia, Washington, and Idaho in the 1700s. During that period, the Kootenai acquired horses, and adopted aspects of the Plains culture such as buffalo hunting. Encounters with non-Indian traders exposed the Kootenai to disease and alcohol abuse, and the tribe’s population declined sharply. The tribe’s geographical reach was also inhibited by the establishment of the national boundary with Canada in 1846. History of the Reservation: The Salish and Kootenai signed the 1855 Hellgate Treaty with the United States, which forced them to relinquish 20 million acres and only retain 1.3 million acres of their historical lands. 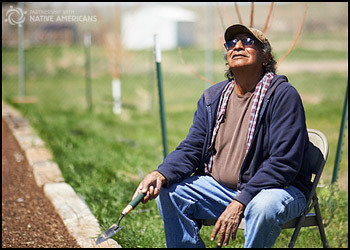 Allotments created in 1904 further diminished tribal lands. However, in 1940 tribal members started buying back tribal land and the Reservation now covers 1,244,000 acres. Life on the Reservation: Tribal members on the Flathead Reservation get by on only $6,400 per year and fall prey to the social ills that accompany poverty. 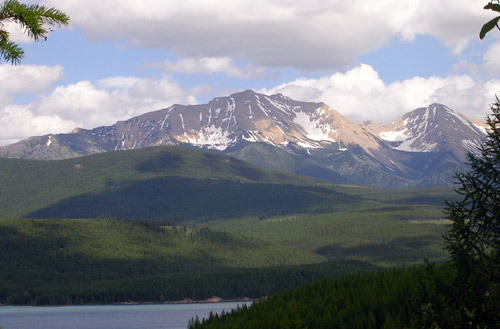 Flathead on the map: Lake, Sanders, Missoula, and Flathead counties, Montana.